So you decided to replace your roof due to Storm Damage, Wind Damage, Hail Damage or simply time for a roof replacement. You carefully selected a local roofing contractor that you are comfortable with. Now its time to pick a color! Yikes there are so many shingle colors to chose from! Weathered wood, Charcoal grey, Charcoal Black, duel Brown, the choices are endless. And we have not even talked about 3 tab or architectural. Oh and then you have to select a manufacturer! Owens Corning, Certeented , GAF, or IKO. They all have some slight differences in appearance and color. I am going to attempt to help narrow down some of the endless choices on the market today. Choosing a qualified local roofing contractor is the first step to narrowing down the shingle that best suits your needs. Your chosen roofer should be able to explain the differences between shingle types and manufacturers. Be careful of roofers who push one manufacturer over the others, as often times they can be involved in rebate programs with a particular manufacturer potentially preventing a non biased opinion. 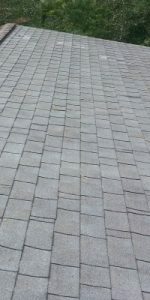 The fact is, all 4 major shingle manufacturers offer high quality products with very good warranties. Be cautious however when you start looking outside of the BIG FOUR ( IKO, GAF, Certeented, and Owens Corning). Lexington Roofers, as well as Columbia Roofers should offer an equal selection of these 4 major brands at a similar price point. When making a roof repair or simply replacing a missing shingle the manufacturer becomes more critical as the colors are not interchangeable. Now its time to pick the style and quality of your next shingle. The 2 most common shingle styles are the common 25 year 3 tab shingle and the 35 year Architectural shingle. The appearance of the Architectural shingle has more depth and a shake style. The 3 tab is a thinner shingle and offers a less conspicuous look. 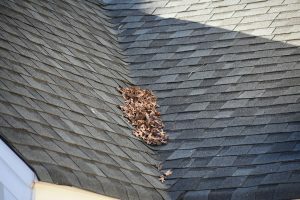 3 tab shingles are generally lighter and more susceptible to wind and hail. The same qualities also make them a good selection for very steep roofs. Shingles can be upgraded in terms of wind resistance or weight. The heaver the shingle the more resistant to wind and generally the longer the expected life span. After you have selected the style and manufacturer and have decided on a quality local roofer that you are comfortable with its time to select the color. As always the darker the shingle the less imperfections you will see over time. Lighter shingles often show algae and dirt much more quickly than dark shingles. Reds, Blues and greens can often be trendy and may date your home as trends come and go. Black shingles have been the staple of the roofing industry for many years and are most likely the best choice for pure performance and ease of maintenance.